A step-by-step guide for writing a foundation proposal. 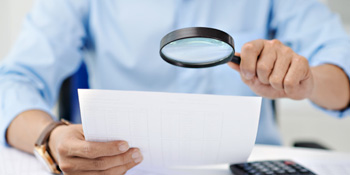 Writing an effective grant proposal is critical in ensuring your organization continues to receive the funding it requires to support its programs. 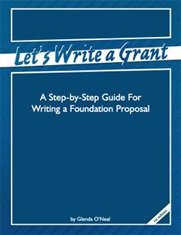 Let's Write a Grant is a must-have book for learning how to write foundation grant proposals in the most effective way possible. 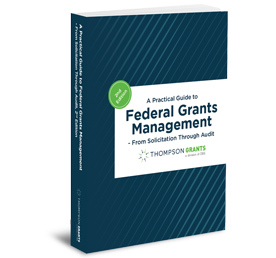 It is written in an easy-to-follow format that is designed to guide the grant writer through the development of a grant request from start to finish. 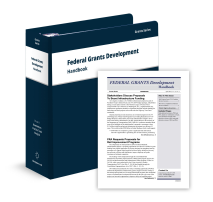 Let's Write a Grant covers each of the seven sections in a standard grant application: Summary, Agency Description, Needs Section; Project Description; Evaluation, Financial Information, and Budget. 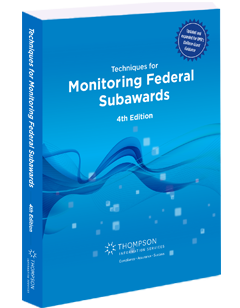 It provides real examples and the following information about each section: its purpose and recommended length; writing tips; common writing problems; and why the foundation asks for the information. Glenda O'Neal is a grant writing consultant, author, and instructor. She has been writing foundation and government grants since 1978, and assisted over 400 educational, social and human services, government, health care, and faith-based organizations to raise millions of dollars. 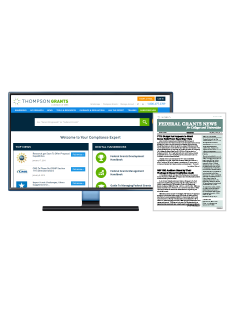 Glenda currently teaches online grant writing courses for Thompson Grants. She previously instructed grant writing courses at the University of Missouri-St. Louis for 20 years, and taught online grant writing courses for Purdue University Calumet, University of Missouri-St. Louis, Loma Linda University, and CD Publications Federal and Foundation Assistance Monitor. O’Neal is a featured speaker at many professional meetings and workshops. She conducts programs and webinars for organizations, including The Foundation Center in San Francisco; San Jose State University; Thompson Information Services; Indiana Youth Institute; and the Association of Fundraising Professionals. She also serves on the Grants Editorial Advisory Board for Thompson Grants. Let’s Write a Grant is a 50-page softbound book. 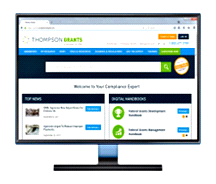 If you have any questions or would like information about bulk pricing, please contact Client Services by phone at 1.800.677.3789 or by email at service@thompson.com.